Letters posted November 2, 2018, advised customers of the Edgefield Main Branch of Wells Fargo Bank that it will be closing its services to the Edgefield area as of Wednesday, February 20, 2019 at 12:00 p.m. This is sudden news for Edgefield. The location of the bank has served customers in this area for many years, going back to the 1930s. Many will remember The Security Bank located there before others – First National and Wachovia. This announcement is not about a transfer of ownership, but rather a transfer of location. The bank indicates the customers may be served at other locations, mentioning North Augusta Main as the closest location. 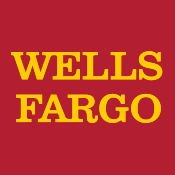 The letter also advises that the Wells Fargo ATM will continue operations, in place, after the location changes. This enables the continuation of making deposits and withdrawals at the Edgefield Wells Fargo ATM location.